It is vital to identify and hire people with extensive flood insurance experience, knowledge of compliance issues and the proper skillset to determine insurable values. Having someone who is up to date on NFIP rules and regulations is extremely valuable when it comes to remaining in compliance. Personnel with this experience can help proactively prepare for an audit, as opposed to waiting until the government comes knocking. In addition, it is important to find people that display high attention to detail and exceptional critical thinking skills. These employees are the first to notice discrepancies in data and who will proactively delve deeper to find solutions that save both servicers and borrowers money. By establishing a clear process detailing how to best assess a MFIR, you can ensure that every borrower receives the same exceptional treatment and that no insurance compliance guideline is overlooked. For instance, it is necessary to find a valuation tool that will enable you to determine the value of a secured structure based on a cost analysis approach. A clear system of best practices will also increase efficiency, allowing you to stay within the federally mandated reporting times. The faster the turn-time, the lower the cost to both you and the borrower. Partnerships with property preservation companies and major insurance carriers can also help in streamlining this process. Whether the servicer chooses to perform these functions themselves or to outsource the MFIR determination, establishing a clear process is critical. The NFIP updates and changes its rules and regulations frequently. 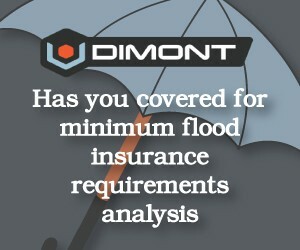 In order to stay in compliance, you should be offering continuous training to all employees responsible for executing your flood insurance program on a regular basis. It is wise to mandate, at the minimum, yearly refresher courses and seminars so as to keep staff up-to-date. If mortgage servicers fail to accurately assess MFIR, you are not only at risk of monetary penalties, but also of damaging your reputation in the servicing industry. By employing experienced staff or an expert service provider, implementing a system of best practices and emphasizing continuous education, servicers can properly calculate MFIR and protect their business.